The Little Aces Progressive Tennis program is offered several times per year to families who would like their children to learn tennis. The program was first offered by the North York Tennis Association (NYTA) in the winter of 2012 and hosted at Woodbine Secondary School. 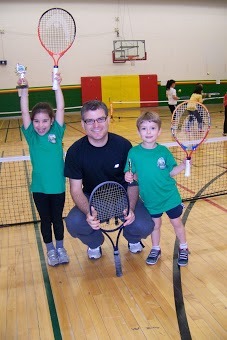 The program consisted of a play and learn tennis format over an 8 week period. Through fun skill games the players were developed over time to where they could play in organized team tennis. Leagues continue to be organized by NYTA in the spring and fall seasons. In the winter of 2013, the program was also offered by Toronto Parks and Recreation at their Oriole Community Center location. With the Little Aces Leagues being successful, there will be future expansion within the Parks and Recreation system.